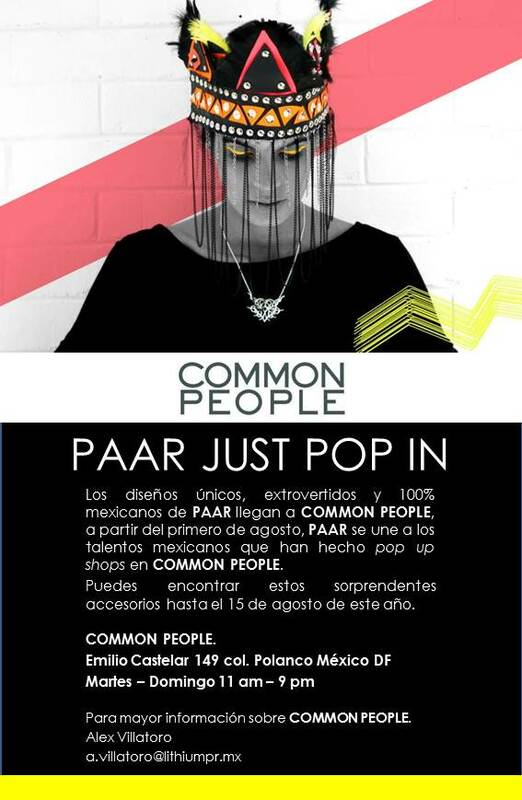 Del 1 al 15 de agosto PAAR tendremos una pop-up shop en Common People, una concept store increíble ubicada en el corazón de Polanco. ¡Todos nuestros accesorios estarán en MEGA descuento! From August 1 to the 15th we will have a pop-up shop at Common People, a really cool concept store located in the heart of Polanco, one of Mexico City's coolest zones. All our accessories will be reduced!